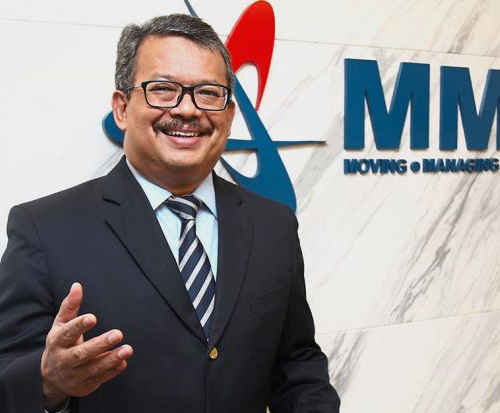 KUALA LUMPUR: WITH MMC Corp Bhd’s plans to list its ports business, the conglomerate will need to bolster its engineering and construction division after it pares down its stake in its cash cow. While the listing of the port assets could bring in fresh funds, the question is what new jobs will the conglomerate secure for its future cash flows. MMC’s construction segment already has many mega projects in its portfolio and has a comfortable order book of some RM15bil. But it is the Kuala Lumpur-Singapore High-Speed Rail (HSR) project which could bring MMC to the next level. The project of this magnitude is unprecedented in this country, which means that only sizeable firms with strong balance sheets and technical expertise are eligible. Going by reports, the HSR project essentially entails the building of a 350km high speed rail from Bandar Malaysia in Kuala Lumpur to Jurong East in Singapore at an estimated cost of RM50bil to RM66bil. MMC, a company which has successfully participated in Malaysian rail projects such as the electrified double-tracking project from Ipoh to Padang Besar and the mass rapid transit (MRT) project, is clearly a likely participant in this HSR project. In this regard, it is noteworthy that MMC said this week that it has partnered with the Japanese. It is understood that this move would bolster its chances of winning HSR’s assets company (AssetsCo) concession. Speaking on the sidelines of the Invest Malaysia 2017 conference this week, MMC group managing director Datuk Seri Che Khalib Mohamad Noh says the group is tying up with a Japanese consortium, which will provide mechanical and engineering solutions for the HSR project. The tender for the AssetsCo is due to be called by the fourth quarter this year. Essentially, there are three components that make up the HSR project, namely, AssetsCo, Infrastructure company (InfraCo), and Operations company (OpsCo). According to a recent joint media statement by MyHSR Corp Sdn Bhd and Land Transport Authority of Singapore (LTA), the AssetsCo is responsible for the designing, financing, building, and maintaining of the rolling stock as well as rail assets, including track work, power, signalling and telecommunications. Both Malaysia and Singapore’s governments have appointed MyHSR and LTA as InfraCos to design, build, finance and maintain the civil infrastructures and operate the HSR stations within their respective territories. Meanwhile, the OpsCo would be operating the express, domestic and shuttle services of the trains. The joint venture between MMC and the Japanese consortium should be a symbiotic relationship, given the reliability and track record of the Japanese experience with building high speed trains in their home country, and MMC’s ability to execute various rail projects in Malaysia. Che Khalib also says that the Government is exploring the possibility of implementing the PDP structure for the HSR project. “Our MRT project is a proven case where the PDP model works, in terms of ensuring that the project is completed on time and within budget,” he says. An analyst notes that MMC’s strength lies in its prior experience in managing an entire transportation project, through the MMC-Gamuda joint venture, by taking on a PDP role for the two MRT lines in the Klang Valley. Additionally, the Japanese consortium’s involvement in the HSR would present a funding opportunity at lower cost, due to the availability of cheap debt in Japan. While the MMC-Japan consortium tie-up may place MMC in a strategic position to vie for the HSR project, there is no certainty that this is a match that could trump the other potential tie-ups. Company partners with Japanese consortium as it eyes plum jobs from the mega rail project . Consortiums from China, South Korea, and European countries are also expected to participate in the AssetsCo tender. Another analyst highlights that although the Japanese consortium is equipped with great high speed rail technology, the cost of the technology would be relatively hefty, as compared to, say, Chinese technology. “Chinese consortiums would stand a more competitive chance in the bidding process, having cheaper high speed rail technology. “The most recent project financing provided by the Japanese was for the Pahang Selangor Raw Water Transfer Tunnel project, which was financed through a loan by Japan International Cooperation Agency,” he says. The analyst was alluding to the fact that China-based investors have participated in more significant projects in Malaysia, which could potentially put them in a better position to win HSR projects. On the other hand, the presence of local players is an important component in Malaysia’s mega infrastructure projects. And this puts MMC in a good position – not many Malaysian contractors have the scale and expertise to undertake the HSR project. Gamuda Bhd, being the most prominent of rail contractors, should be a preferred local partner for whoever is bidding for a slice of the cake that is the HSR project. However, Gamuda may sit out on the AssetsCo bid altogether. A CIMB Research report last month noted that the group is looking at the civil works portion of the HSR project instead of the AssetsCo portion. The HSR project is not the only one MMC is vying for. Che Khalib says the company is also vying for projects related to Langat 2 (water treatment and distribution facilities development project) and MRT3 (third and final line of the Klang Valley MRT). Currently, MMC has a construction order book amounting to an estimated RM15bil, which will keep the group busy for the next five years. Hence, any new contract wins would be a huge bonus for the group.